Getting kids to eat healthily is no easy task. And finding a snack that they like, and you like for their health is doubly tough. Enter, yogurt for kids. Or rather, the best yogurt for kids. Or better still, the best yogurt for your kids! You get the point, right? So here the pros and cons of our favored brands. What Should You Look For In The Best Yogurt For Kids? This one works perfectly for fussy kids who do not like flavors or too much sweet in their diet. While the serving sizes are not snack-sized and you cannot just slip in a Fage yogurt cup into a kiddie lunchbox, they are the healthiest you can get in sizes of 200g, 500g, and 1kilo tubs. If you use Bento lunchboxes for kids, spoon in Fage Greek Yogurt in one container for health, taste, and nutrition in all its simplicity. One part that most mothers would unanimously like about the Fage yogurt is that it doesn’t come loaded with artificial anything, so this makes it the best yogurt for kids indeed. There is no added sugar in it, and you get options of 0% fat, 2% low-fat as well as 5% whole-milk yogurt. A 200ml tub of 0% yogurt contains 90 calories, 5g sugar, and 18g protein. For 2%, the values go to 140 Calories, 6g sugar and 20g protein. And for the 5% whole milk option, a 200g tub contains 190 Calories, 6g sugar, and 20g protein. Each contains 20-25% of an adult’s daily calcium requirements as well. Since this is plain Greek yogurt, all it takes is your favorite fruit or herb to make it all the more special and healthy. And the same goes for your kids too. Plain and simple yogurt is the best yogurt for kids for sure as it controls their sugar intake and gives them all that is healthy – protein and calcium – so needed for strong, growing bones. Fage (pronounced as Fa-Yeh) means to eat, and that’s what this plain and simple yogurt is all about. What makes Maple Hill appear on our list of best yogurt for kids? Well, for starters, the milk is begotten from cows that are grass-fed, and that to organic grass-fed – so organic becomes a big USP for Maple Hill. Why grass fed, you may ask? Well, Maple Hill believes that nature designed cows to eat only grass but lately, we have been feeding them corn, grains, and other foods. 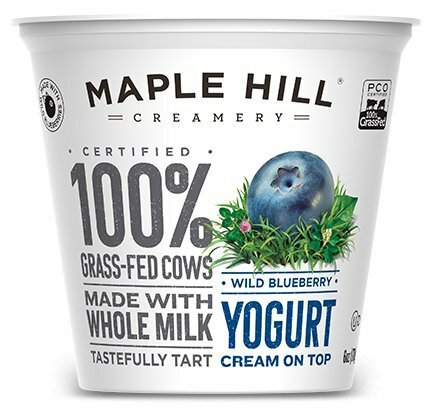 So Maple Hill believes that this affects the quality of milk – thus it feeds its cows only 100% organic grass, the way nature meant cows to be. The flavors are simple and a favorite with most if not all kids – options of vanilla, strawberry, and blueberry – and you can get these flavors in both Greek yogurt and whole milk yogurt. Each option comes in a 150g container pack which might be a little too much for small tots to handle, but perfect for older kids or those with bigger appetites. The flavors are simple and the taste is tart if a little sugary. Ingredients for the Greek yogurt include organic milk, organic fruit, organic cane sugar (yes, this one does have added sugars), fruit pectin (as a thickening agent), lemon juice concentrate as well as live and active cultures. The whole milk yogurt differs by replacing the fruit pectin with organic tapioca starch and having a little more of added sugar content than they put in the Greek yogurt. For the vanilla option, the flavor comes from organic vanilla extract and vanilla bean seeds. Overall, it’s a healthy option as the Greek yogurt contains 11g protein and decent amounts of calcium and potassium as well. It does not contain vitamin D though. Comes plain as well as in three flavors of vanilla, strawberry, and blueberry. Not every kid is a dairy fan, and then there are those who are intolerant or allergic to dairy as well. Soy yogurts can also become a problem for some since soy is another cause of allergies in many who have dairy, soy or nut allergies. Coconut yogurt becomes a heaven-sent snack option for them since it has all the health benefits of fermented food, the goodness of coconut and no dairy issues as well. So each cup of Yoconut Dairy Free is great plant-based food – and is dairy, gluten, and soy-free. There are no GMO ingredients in it and no added sugars as well. It is high in fiber and calcium, and just an awesome option for anyone with dairy intolerance. It also comes loaded with all the goodness of coconut be it fiber, electrolytes, lauric acid and the good fatty acids that are known to be healthy for the human lipid system. The 142g serving size is perfect for all kinds of appetites, and it comes tried and tested flavors of vanilla bean and pineapple, and rather innovative flavors of lemon cream and chocolate for more refined palates. 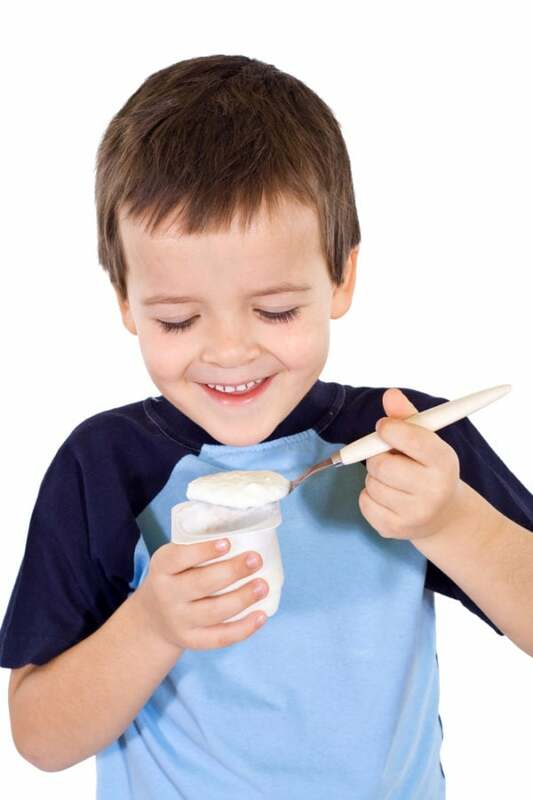 Each pot of Yoconut Dairy Free coconut yogurt can be the best yogurt for kids. And you just have to look at the composition to know why! 110 calories make up each pot with no added sugar, 8g fiber, 6g good coconut fat and plenty of live and active cultures. Peeling of the lid is not much of an issue either so this can be handled by coconut lovers of all sizes and ages with ease. 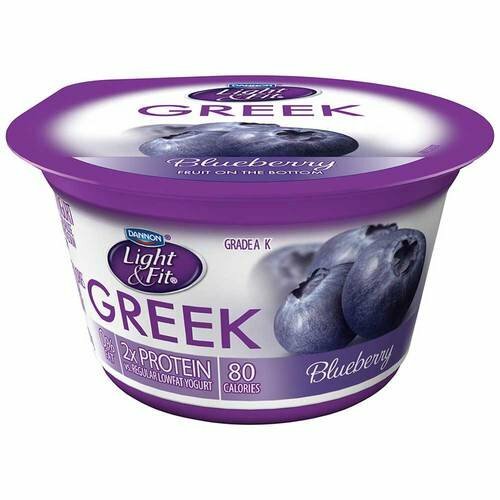 It lacks protein and calcium – something all Greek yogurts tend to burst with. Not everyone is a big fan of yogurt – the creamy plainness can be a bit of a drag for some kids. For moms at their wits end on the holy grail of finding the best yogurt for kids, which they also like, Chobani might have the perfect solution. The Chobani Flip is a perfect little solution for those bored with plain old yogurt, however creamy and flavored it might be. The Chobani Flip comes in a twin-pack of flavored yogurt and some crunchy but healthy additives. With 18 flavors, there isn’t a kid who couldn’t find his favorite on-the-go snack. For instance, there’s the Smor Smores – with sweet vanilla low-fat Greek yogurt. The crunchy additives are honey Graham crackers, bits of toasted sugar and milk chocolate. Or Carrot Cake creation that has sweet carrot low-fat Greek yogurt paired with oatmeal cookie crumbles, frosted cinnamon crunch, and walnuts. 18 flavors mean mommies are spoilt for choice and may choose the Chobani Flip as the best yogurt for kids for sheer diversity. Sure, this one does have added sugar, but it also uses only non-GMO natural ingredients. It is Kosher certified, as well as vegetarian-friendly. Nutrition wise, each Chobani Flip has 11g protein, 190 Calories and 15% of the daily calcium requirements, as well as 10% of the daily requirement of vitamin A of an adult. The lactose content in the yogurt is less than 5% which means it may suit the lactose intolerant as well. For those who love the creaminess of traditional Greek yogurt, but also love to have a choice of flavors in a healthful way – look at the Dannon range of flavored Greek yogurts, Light & Fit. Each 150g serving cup is at just 80 calories. It’s 0% fat, diabetes-friendly, gluten-free and also is loaded with 12g protein in each serving. It also contains 15% of the daily calcium requirements of an adult. On the flipside, it does have plenty of additives you may not want to feed your kids, even if taste wise this may be the best yogurt for kids. For instance, you may not want to feed a cup of yogurt that contains malic acid, sucralose, calcium citrate, potassium sorbate, acesulfame potassium or sodium citrate. But then again, as an off-and-on snack, it isn’t an unhealthy one per se because of the probiotic content. It does contain plenty of active and live cultures that make yogurt healthy and the added sugar is just 7g per serving – so it’s not much of a sugar rush either. There are some 20 plus flavors on offer so you have the traditional single flavor ones like vanilla, blueberry, raspberry, peach, and blackberry. Then you have unusual flavors on offer as well – like raspberry chocolate, crème brûlée, toasted marshmallow, salted caramel – and well, the mouth does begin to water! For most mothers, and fathers, and kiddie caretakers in general – whatever the kids eat is mostly about nutrition. While most of us manage to control meals in younger school-going kids, snacks are something we constantly fight a losing battle against. Kids want the taste, and parents want health – and mostly it is the kids who win these little day skirmishes. So what do we parents think when we talk about the best yogurt for kids? So yogurt is healthy for kids, right? Now, how do we choose the best yogurt for kids? Here go a few guidelines. Look For No-Added Sugars: As a one-time treat for a hungry kid, an added sugar treat works. But if your child is fond of yogurt, remember yogurt is naturally tangy – making it too sweet means adding way too much sugar, and a child doesn’t need to be amped up on sugar at all. Choose Non-GMO, Organic Grass-Fed And All-Natural Milk Labels: Research is proving that cows that feed on organic grass and non-GMO feed often give the best milk. And the fresher and healthier the milk, the fresher and healthier the yogurt. Non-GMO and Organic Labels Are Best: Yogurts that come with organic, all-natural and non-GMO labels means that they source the freshest and healthiest ingredients when it comes to milk, fruits, vegetables, and other things as well. Even if they add sugar, the sugar will be the healthiest there is on our planet. No Artificiality Is The Best: There are brands that offer yogurt with no added flavors, colors or thickening agents. This may give them a shorter shelf life but will prove better for you and your kid’s gut health over time. Choose A Pack Size That Works: Honestly, yogurt tubes are not a great idea even if they sound convenient. Most yogurt tubs or pots are easy enough to carry, open and dig into with a spoon – so use containers that instill mindful eating in your children. Maple Hill: As of now Maple Hill has over 150 small family farms from which milk is sourced but it started off in 2003 when two non-dairy backgrounders bought a farm. They introduced yogurt sometime in 2009 and have been at it ever since. Fage: The Filippou family opened a small dairy shop in Athens, Greece way back in 1926. Fage (pronounced as fa-yeh, means to eat) introduced yogurt sometime in the 50s, and finally brought their products to the US in the 90s. 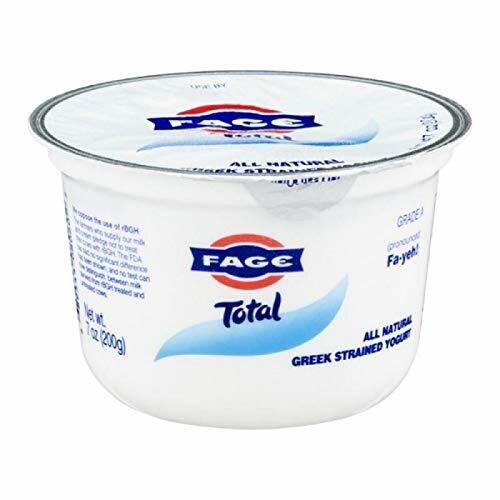 Since then, there has been no looking back for Fage’s Greek Yogurt, and America’s craze with it. 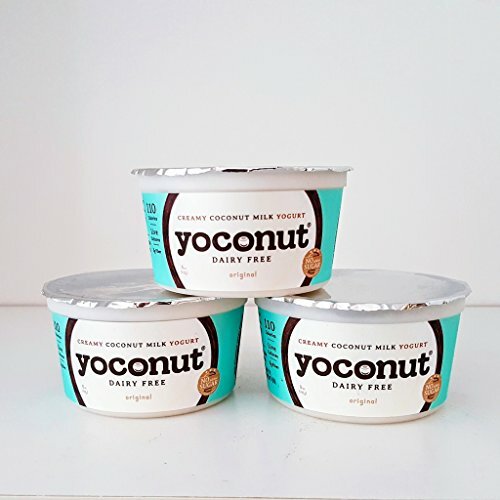 Yoconut: Launched in 2016, Yoconut Dairy Free Coconut Yogurt is made from coconut milk as opposed to dairy, and is perfect for those who are allergic or intolerant to dairy and even soy. It has all the health benefits of yogurt and coconut, minus any digestive issues for sensitive stomachs. Chobani: Chobani began in 2005 when Hamdi bought a used yogurt plant and got together with some like-minded individuals. In Turkish, Chobani means shepherd, and Hamdi shepherded Chobani into becoming the biggest and the best thing yogurt is to the dairy industry of USA. They have many patented products and innovations that can make a yogurt hater into a yogurt lover! Danone: Dannon is a trademark of the parent company Danone, that has been in the essential dairy and plant-based products, waters, early life nutrition, and medical nutrition for years now. With a presence in almost every country in the world, this is a true food conglomerate. Q: Are all yogurts healthy? A: Yogurt, on the whole, is healthy food. It is probiotic and helps your gut retain needed flora that aid in digestion. So on that note, most yogurts are healthy. However if the yogurt you eat is loaded with artificial flavors, taste enhancers, colors, and thickening agents, as well as preservatives that give it an extra-long shelf life – they are less healthy than the other organic options available in the market. Q: So which is the best yogurt for kids? A: This depends on the frequency of yogurt consumption. On the whole, plain low-fat Greek yogurt is the healthiest you can get with yogurt. You can make your own yogurt, or buy plain yogurt from the market shelves and serve it up in tasty, innovative ways. If it’s a one-time snack for an exhausted, hungry kid – you can go for a sugar-loaded one too – we all have our cheat days, right? And if the taste is a big thing for your kid, looks for flavored Greek yogurts with no added sugar and all natural ingredients. Fage Plain Greek Yogurt is undoubtedly the best yogurt to get for kids, though it is plain and unflavored. You can jazz it up at home using healthy sweeteners, fruit puree, and other things though – but this will not make for a carry-able snack. Fage also offers flavored options which are pretty good. Yoconut Dairy Free Coconut Yogurt is perfect for lactose-intolerant little tummies. 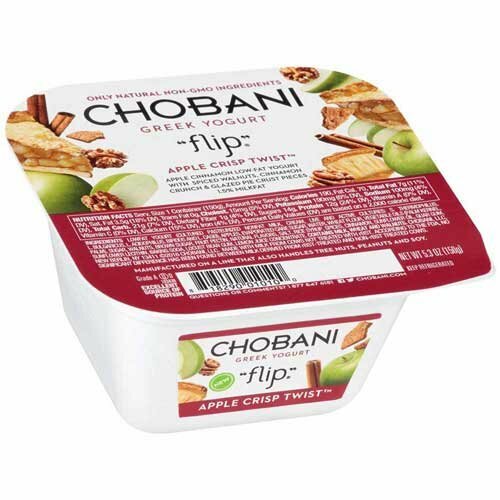 The Chobani Flips are a great treat when it comes to the plate but remember they do contain artificial colors, preservatives, thickening agents and flavors, although all ingredients are non-GMO. And if it’s a nighttime treat, remember to get the kids to brush their teeth. Obviously, as a parent, you need to find a middle way between health and taste. The best way is to try a plethora of yogurts and find the ones that taste the best and are also the healthiest. This will be the best yogurt for your kids.